This stunning photo was taken by Shannon Bilesk of Signature Exposures. 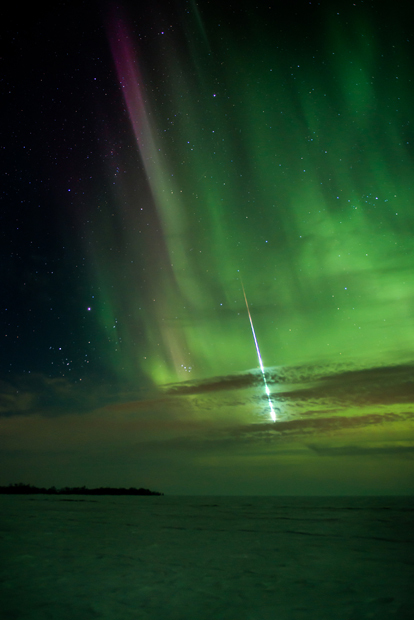 The aurora was on and off all night, but at 11:10pm just as everyone else was packing up their camera gear, the green glow in the sky intensified. Bileski began snapping some shots with her Nikon D800 and Nikon 24-70mm f/2.8 lens, with settings at f/3.2, 8s, and ISO 800. 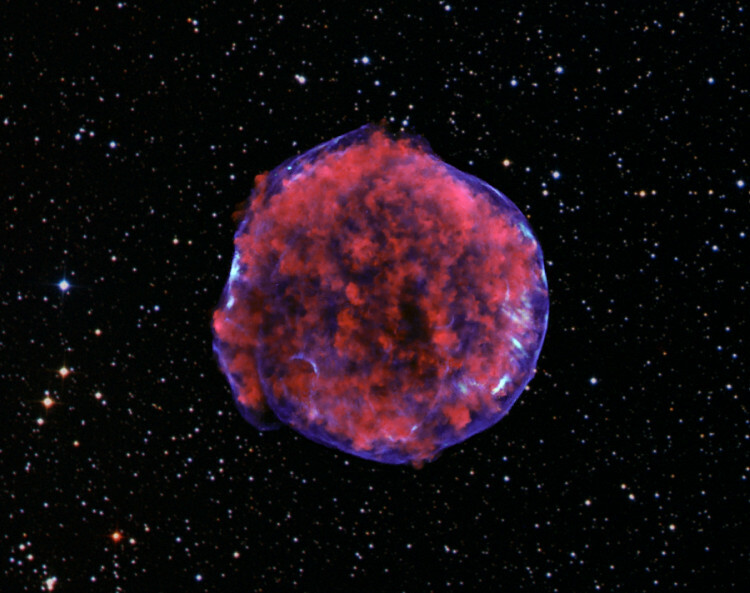 A photograph of the Tycho supernova remnant taken by the Chandra X-ray Observatory. Low-energy X-rays (red) in the image show expanding debris from the supernova explosion and high energy X-rays (blue) show the blast wave, a shell of extremely energetic electrons. This incredible image is of a remnant of the supernova Tycho, which blew up long ago. Supernova remnants are often able to be seen hundreds of years after the initial explosion because of a reverse shockwave that occurs. This reverse shockwave is created when the outwardly ejected material of the supernova explosion creates sort of a backward current or backwash of material that heads inward at speeds up to mach 1000 or 1000 times the speed of sound. This material then begins to heat up to the point where it begins to emit X-rays, and that’s what you see here in the image above. This image is from the Harvard-Smithsonian Center for Astrophysics where you can read more about this particular image.